Garlic is mainly used all over world for its medicinal and culinary value. Garlic is known as ‘Poondu’ in Tamil and as ‘Lasun or Lahsun or Lahasun’ in Hindi. Garlic belongs to onion family. Like onion, this also has strong spicy flavour. Some people do not like this smell, but garlic is universally known for its medicinal value. Herbal medicine values it as wonder drug. From olden days, garlic is used for various ailments. Due to its antibacterial nature, this is used as medicine for digestion, asthma, cold and gastric problems. This is suggested to eliminate intestine worms also. This is good in reducing cholesterol and blood pressure. 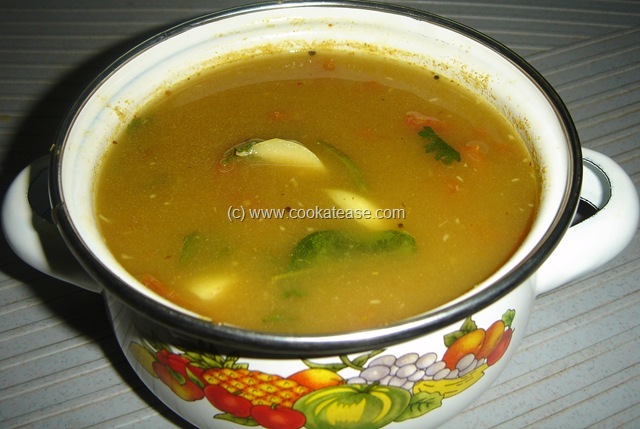 Here I have prepared a rasam (Indian soup) with garlic. This is little spicy and hot. Tastes good with hot rice. Boil toor dal well and mash it; extract juice from tamarind; cut tomato and chilli; peel and fry garlic, keep 3 to 4 for garnishing and remaining for grinding. 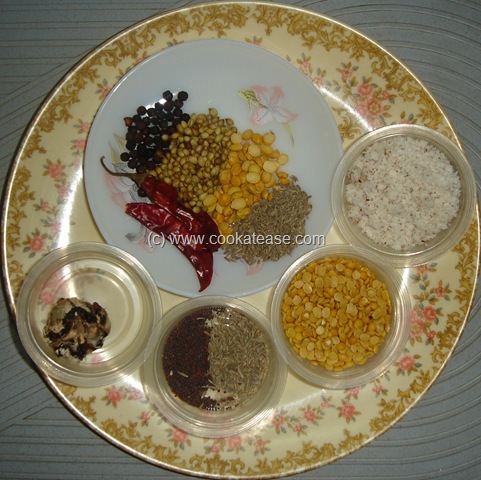 Dry roast grated coconut; roast red chilli, coriander seeds, bengal gram, cumin seeds, black pepper with 2 or 3 drops of oil; allow it to cool. Wet grind fried garlic, roasted coconut and other roasted masalas by adding little water. In six cups of water, add salt, turmeric powder, asafetida powder, tamarind juice, few curry leaves, cut tomato and chilli; boil this for 5 minutes or till raw smell of tamarind goes. 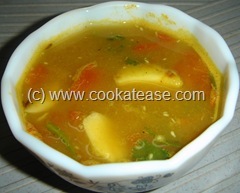 Add ground masalas, boiled dal, in boiling rasam; adjust water, salt and boil for 2 minutes. 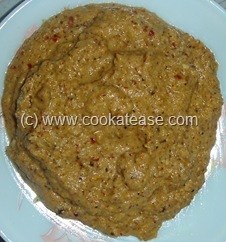 Add few curry leaves and coriander leaves; remove and give the seasoning; garnish with remaining fried garlic. 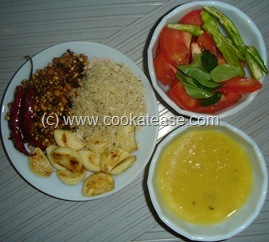 Serve with hot rice and roasted papad. 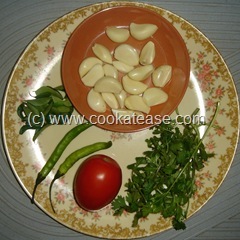 Fry garlic lightly to retain nice flavor of garlic in rasam.